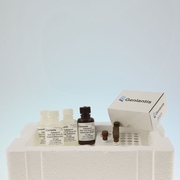 The phCMV Fusion Stable Reporter (FSR) Vectors are designed for high-level expression of GFP or Luciferase fusion proteins and for creating GFP or Luciferase stable cell lines. These innovative vectors contain optimized CMV promoter-intron sequences for significantly higher constitutive expression levels than other mammalian expression vectors. Two of the phCMV-FSR Vectors (P003400 and P003500) contain a stop codon at the end of the reporter gene so you can easily create a reporter gene C-terminal fusion with your gene of interest. The other two phCMV-FSR Vectors (P013400 and P013500) contain no stop codon at the end of reporter gene so an N-terminal fusion of the reporter gene with your gene of interest is easily achieved. All phCMV-FSR Vectors contain a combination Kanamycin/Neomycin antibiotic selection gene for selection in both E. coli and mammalian cells, and a minimized vector size for maximum transfection efficiency. 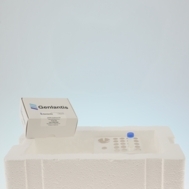 The vectors can be used for either transient transfection or for generating stable cells lines expressing the reporter gene alone or in fusion with your gene of interest. LacZ is a commonly used reporter gene in transfection experiments because the gene product, b-galactosidase, is very stable, resistant to proteolytic degradation, and easy to assay. Levels of active b-galactosidase expression can be quickly measured by its catalytic hydrolysis of various substrates. The assay kits provide all the required reagents, and offers a rapid, simple and sensitive method to quantify the enzyme expression in transfected cells (e.g., transfected with Genlantis� gWiz b-gal vector). The high sensitivity improves the measurement of b-gal activity when the reporter gene expression is low. 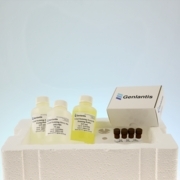 We offer three staining assay kits: Enhanced b-Galactosidase Assay Kit for ultra-sensitive and quantitative measurement of low-level β-galactosidase expression; b-Galactosidase Assay Kit (ONPG) for sensitive and quantitative measurement of β-galactosidase expression, and X-Gal Staining Assay Kit for determination of transfection efficiency based on in situ b-galactosidase staining.